Adopt: The best way to help a pet waiting on a forever home? Be that forever home! If you’re looking to add a pet to your family, please consider adopting through your local shelter or rescue. You’ll get a lifelong friend in return! Donate: Every bit counts! If you aren’t able to donate financially, you can always donate your time, skills, or supplies. Educate: The best way to end pet homelessness is to help others understand the problem. Sharing articles on social media, writing a letter to the editor of your local paper, and volunteering at adoption events are all effective ways to make your voice heard and to spread the message in your community! Share: Besides being a great way to keep up with the family and friends, social networks like Facebook and Twitter are useful for finding forever homes for adoptable pets. 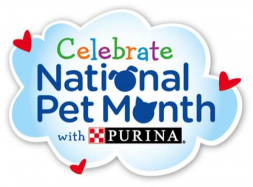 Share an available cat or dog to your social networks to help that pet find a home! Train: Are you a master at teaching your pup to sit, lie down, or stay? Share your expertise at a rescue or shelter! Knowing some basic commands can help many dogs to be more adoptable. Play: Who doesn’t love a little one on one attention? Playing with sheltered cats or dogs will help to socialize them more quickly, making them more likely to find forever homes. Foster: Not sure you have the time or resources to dedicate to adding a pet to your family permanently? You can foster a pet temporarily until the right forever home is found. It’s a wonderful way to give back, as well as an opportunity to see what having a pet is all about before you make a lifetime commitment yourself. Volunteer: Volunteers are essential to helping shelters and rescues achieve their mission of finding forever homes for pets. Just a few hours a month will make a world of difference! Join the conversation on social media to see how others are taking part and add your own ideas by using #PawItForward!